Ureteropelvic junction obstructions occur in approximately 15% to 33% of horseshoe kidneys (8-10). In the horseshoe kidney, several factors are thought to contribute to the uretero-pelvic junction obstruction, including high ureteral insertion, abnormal course of the ureter ventral to the isthmus, and anomalous blood supply to the kidney. pyeloplasty (13). Laparoscopic pyeloplasty offers the advantages of a minimally invasive surgical approach and high success rates associated with open surgery. The reported success rates for laparoscopic pyeloplasty range from 94% to 98% (14,15). 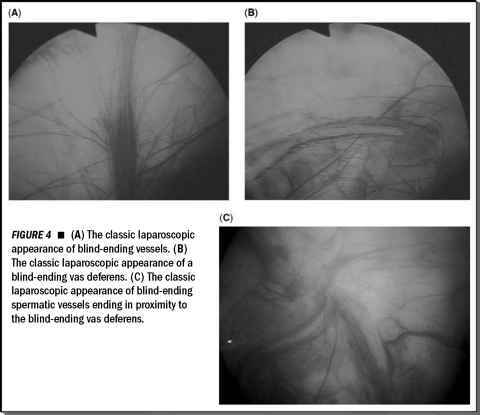 Several authors have reported successfully performing laparoscopic pyeloplas-ties in horseshoe kidneys (16-20). Bove et al. reported the results of laparoscopic pyeloplasty in 11 patients with upper urinary tract anomalies, including five patients with horseshoe kidneys (16). One of the patients with a horseshoe kidney had previously failed an endopyelotomy. The mean operative time was 3.2 hours and the mean estimated blood loss was 122 mL. No patients required transfusions and there were no operative complications. With a median radiologic follow-up of eight months, all five patients had improvement in renal function on excretory urogram or renal scan. Although several centers have successfully applied a retroperitoneal approach for horseshoe kidneys when performing extirpative surgery (20-22), the transperitoneal approach provides greater working space for reconstructing the collecting system, which may be dilated and enlarged. However, in select cases a retroperitoneal approach may be feasible. Hsu and Presti reported performing an extraperitoneal laparoscopic pyeloplasty in a horseshoe kidney (19). They used a balloon dilator to extraperitoneally develop 500-mL spaces in multiple directions. The peritoneal sac was bluntly mobilized en bloc to fully expose a dilated left renal pelvis. The surgery time was approximately 6.7 hours. Postoperatively, an excretory urogram was used to document prompt drainage. In both reports, the isthmus was not divided. However, in select cases it may be necessary to divide the isthmus if it contributes to the obstruction at the ureteropelvic junction. Nadler et al. reported performing a hand-assisted laparoscopic pyeloplasty and isthmectomy in a horseshoe kidney (17). Electrocautery was used to score the capsule of the isthmus and the isthmus was divided using an ultrasonic shear. Hemostasis was achieved using manual compression, argon-beam coagulation, thrombin, and fibrin glue. The affected moiety was moved several centimeters laterally before performing the pyeloplasty.